The latest addition to Fairtrade Yorkshire’s growing network of local groups is Fairtrade Halifax. The group was brought together by Halifax’s recently elected MP, Holly Lynch and Calderdale Councillor, Adam Wilkinson. The first meeting was held at Halifax Town Hall and representatives attended from Calderdale Council, Lloyd’s, Fairtrade wholesaler, Suma and Traidcraft. 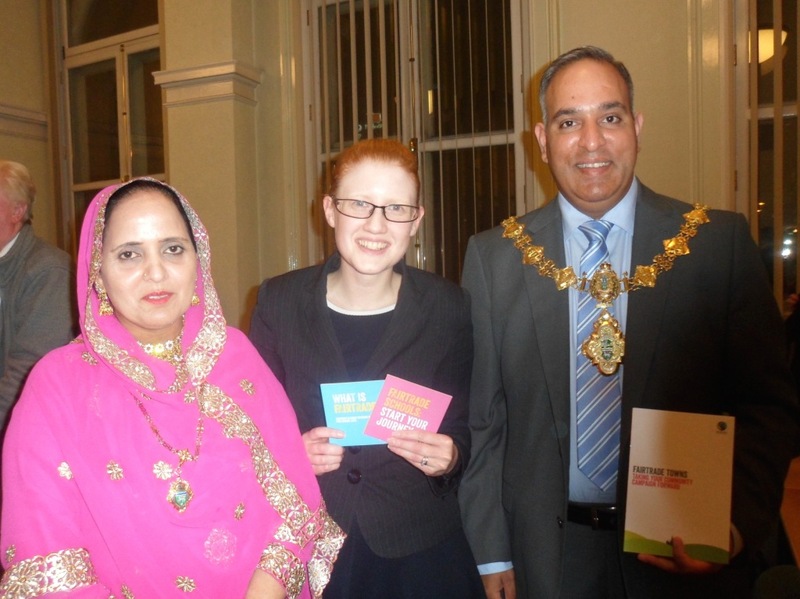 Local activists joined together with the Deputy Mayor and Deputy Mayoress of Calderdale to celebrate the launch of the group. Holme Valley Fairtrade was named runner-up at the Annual Fairtrade Campaign Awards. 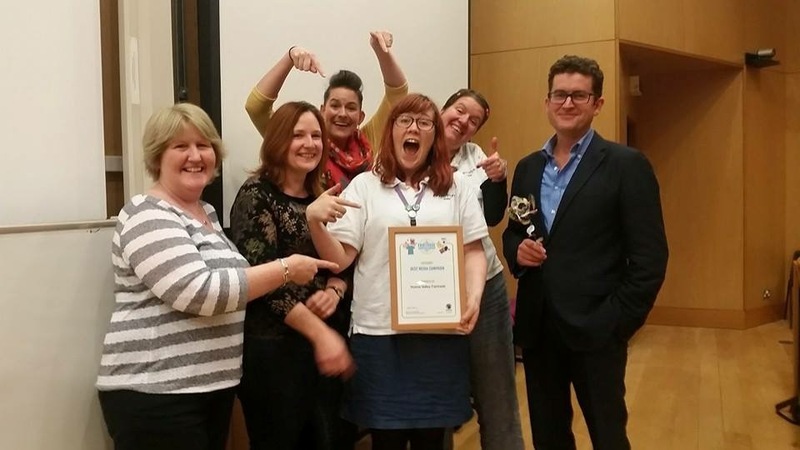 The group was awarded second place for Best Media Campaign at the Fairtrade Foundation’s National Supporter Conference in London last weekend. 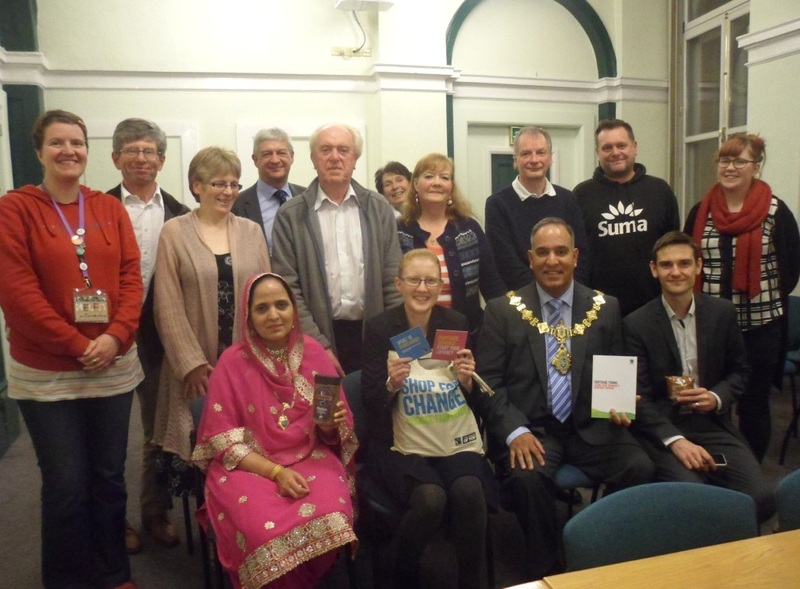 The group was recognised for their commitment to raising awareness about the principles and values of Fairtrade in their local community during Fairtrade Fortnight 2015, a highlighted campaign for the grassroots movement in the UK. 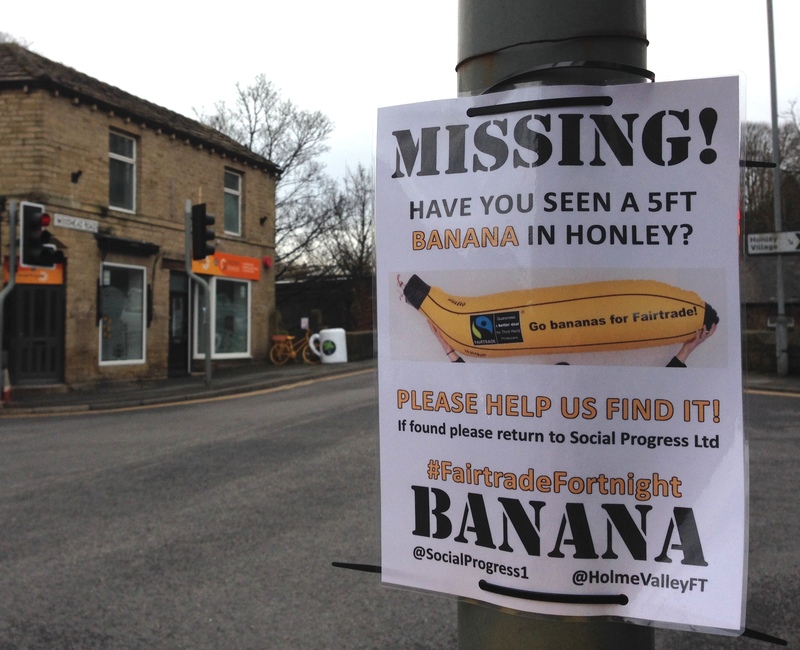 During Fairtrade Fortnight 2015 Holme Valley Fairtrade members, Social Progress displayed a 5ft inflatable Fairtrade Banana and Mug of Fairtrade Tea outside their Honley Bridge Office. Within 48 hours the banana went missing so they launched the “#MissingBanana” campaign. Through the various channels of social media and a few tongue-in-cheek posters, they called upon the help of the locals as well as Honley High School. Within another 48 hours students from the school spotted the banana in the river! The campaign was an opportunity to turn something negative into something positive. We’re pleased to say that it helped to raise the profile of Fairtrade and Fairtrade Fortnight through the use of the hashtags #FairtradeFortnight and #FairtradeMatters on social media – and the story reached the local press too! Adam Gardner, Communities Campaigns Manager at the Fairtrade Foundation, said: “We are very grateful to the Holme Valley Fairtrade Group for their valuable support to farmers and workers around the globe who are continuously working hard to bring us the products we love. All too often these communities are not receiving a fair price for their work, but campaigners from the Holme Valley have shown their dedication to this cause. It’s so important for communities to get involved and let their voice be heard. The one day conference in London brought together campaigners from across the UK, Fairtrade producers and experts in global development. The day featured a sneak peek into the Fairtrade Foundation’s 2016-2020 strategy, innovative and informative workshops and the launch of Fairtrade Fortnight 2016, among many other items. Fairtrade has paved the way for sustainable trading by providing a safety net for world’s poorest farmers against volatile market prices, and the Fairtrade Premium to invest in vital community, business and environmental projects. The UK has one of the most powerful networks of Fairtrade campaigners in the world, including over 600 Fairtrade Towns, 1350 Fairtrade Schools and 170 Fairtrade Universities, and 7,500 Fairtrade places of worship. One of the first Fairtrade schools in Kirklees: Holme Junior and Infant School are putting together their application for Fairtrade Status renewal, and launched their campaign with a Fairtrade Coffee Afternoon for the parents and the community at the start of the new school term. 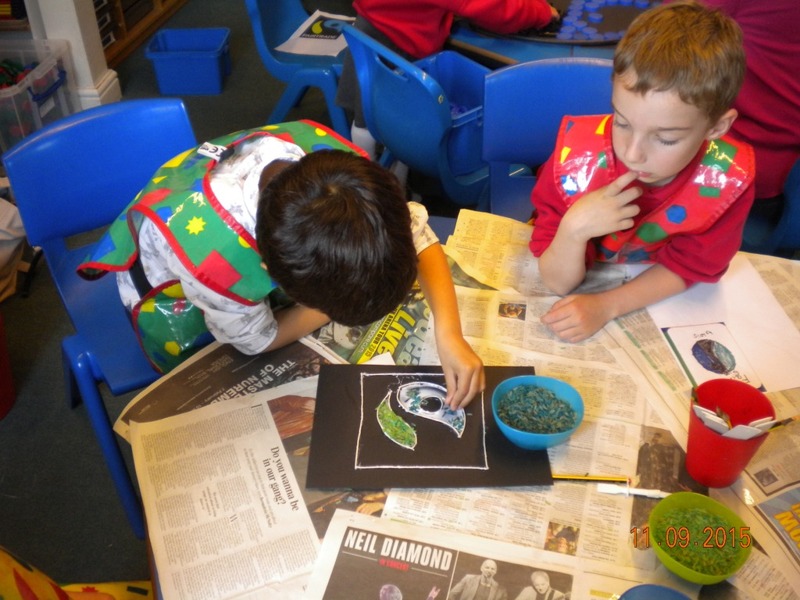 The children at Holme School know a lot about Fairtrade and were involved in every stage of the event; Reception children designed and decorated Fairtrade themed bunting, Key Stage 2 children designed brilliant posters to promote the event around the community. Working with the school cook, Class One made the cakes and biscuits for the event and proudly described the Fairtrade ingredients to visiting parents. Throughout the afternoon parents were welcomed into busy Fairtrade focussed classrooms and invited to create the Fairtrade logo for themselves using recycled materials, or take part in a Geography activity to map Fairtrade or even use the school iPads for market research into the major supermarkets commitment to Fairtrade. Alongside the Fairtrade refreshments the students and teachers were joined by fairandfunky with a pop-up shop to launch their rice challenge. 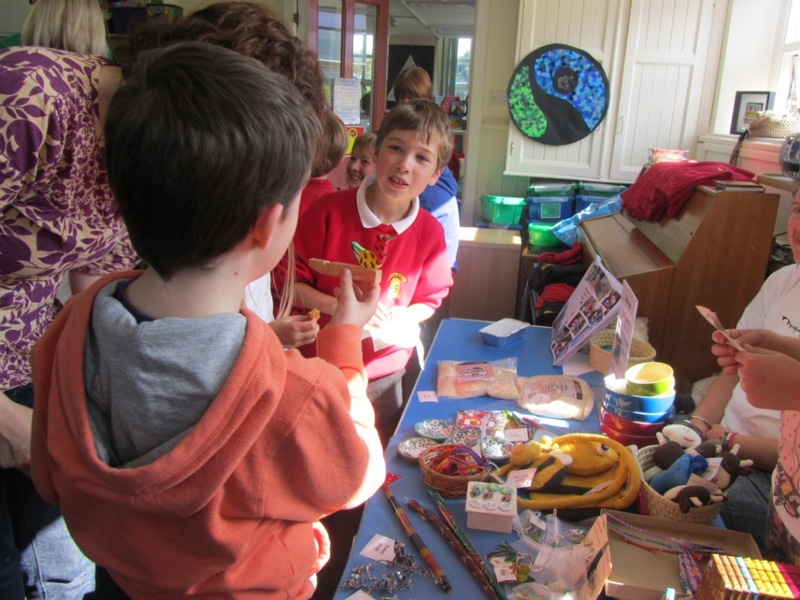 Year 6 children helped on the fairandfunky pop-up shop, selling Fairtrade gifts to fellow students and parents using impressive mental maths as their customers all clamoured for attention at the same time!